This is something that I wrote a few years ago but it’s never appeared on the blog and now with school starting again, I wanted to share it here. If you know me, you that my heart beats for middle schoolers. 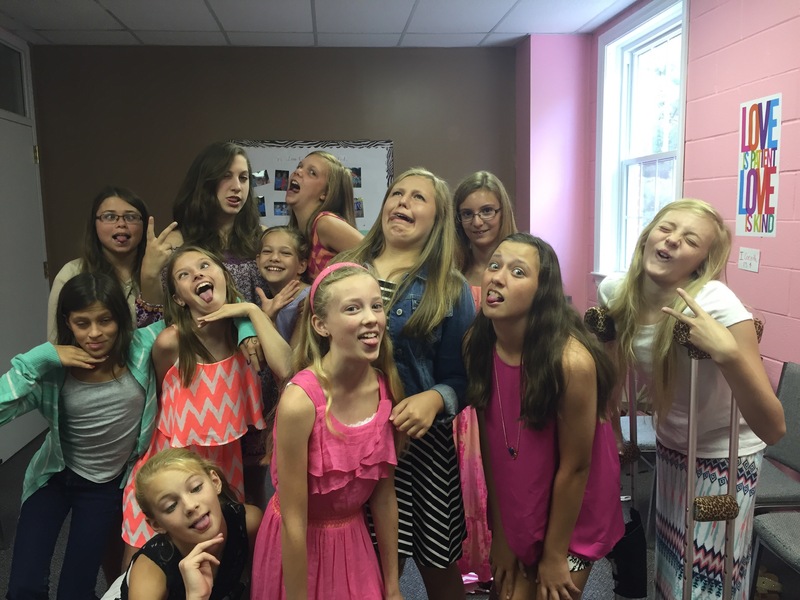 I’ve had the awesome privilege of teaching 6th grade Sunday school this year and I love my crazies with all my heart. So this post this for them and the rest of the middle school girls struggling through the crazy thing called middle school. My heart is heavy today. I can’t explain it or tell you why, it just is. 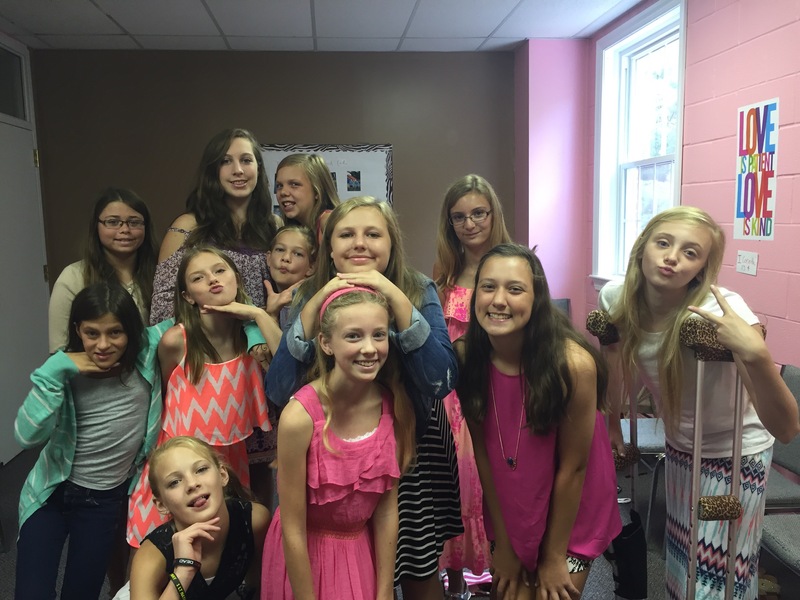 I guess I’m thinking about the new school year that is here or fast approaching and I think about all those girls who are starting middle school for the first time or another year of it. I want to comfort them and tell them it gets better eventually, the drama dies down and girls grow up. I want them to know that no matter how rough middle school is, God has a plan for them and they will make it through, but they may come out with a few battle wounds and scars with stories to tell of how God worked in their lives. Middle school is an interesting time, something you just have to survive. It’s a time when friends will be friends one minute and your worst enemy the next. When boys start to come in but no one really knows what dating is and all that stuff means when you’re both in middle school and neither of you drive. It’s when hormones rage and suddenly everything is a big deal, what uniform you wear, who else is wearing it, how you accessorize, and who you sit with at lunch. Middle school is full of drama queens and girls who want to be just like them. Girls whose hearts are set on something and they can’t ever reach it because something or someone is in their way. It’s a time when they long for just one high schooler to notice they exist or call them by name. It’s a time when writing notes with your best friend is a daily thing and you drool over that hunky high school football or basketball star. It’s a time when if you mess up one little thing you think your life is over and no one will EVER speak to you again. It’s a daily rollercoaster and you never know what’s coming around the corner. It might an awesome surprise like getting invited to the popular girl’s birthday or back to school party or it might be that a boy on the bus makes fun of your glasses or your braces. Middle school is a jungle of drama queens, stinky boys, and wishy-washy friends, but there is something that you can do to survive those awful three years: find yourself in the Lord. He is the only one who won’t rat you out to that boy you like, who will speak to you when you do that stupid thing like trip in the cafeteria, who will be on your side 100% of the time, and who will help you when you need someone the most and none of your “friends” can be found. God will be there for you always and forever no matter what. God will be your support when your “best” friend treats you like dirt and there’s an awful rumor about you that is spreading like a wildfire and no one will stop it. God wants you to listen to Him and not that boy on the bus who tells you how ugly you are and calls you “four eyes” and “brace face”. God’s words are different and loving and He wants you to find yourself in Him. In order to do that you have to spend time with Him and get to know Him through prayer and reading His word on a daily basis. You need to make time for Him and not try to just “fit Him in” because you’ll never have enough time. Middle school habits will live with you through high school and on into college. Decisions you made in middle school about how you’re going to hang out with and be friends with will go with you and you’ll stay friends with them and if they turn out to be the wrong crowd, you’re in trouble and have to get out the friendship fast. So be wise in the friends you choose and remember, “Bad company corrupts good morals” (1 Corinthians 15:33). Things in middle school are rough and you can never really be sure who your true friends are, but God can get you through it if you find yourself in Him. Darling, what wisdom you have to share with the girls in your heart. The Lord has used those hurtful times you went through so you can truly say to them, “I understand” and know how to pray for them. He is using you to help guide them. I’m so proud of you and love you so very much.